Beautiful. I can see an ‘om’ symbol next to her eye.. Thank you! And thanks for pointing that out, I hadn’t noticed that, but now that you mention it I can see it too. A great piece. 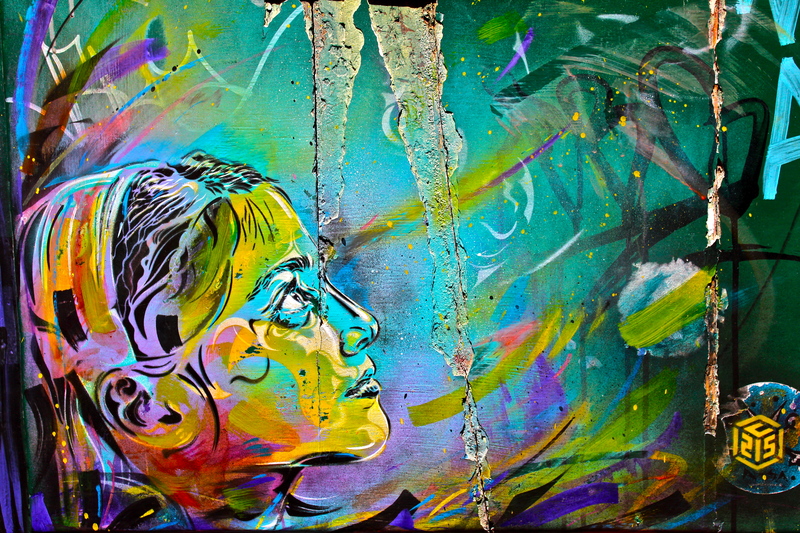 You’re right about the signature – the artist is C215. Thanks for the info about the artist! I had learned the name in London, but couldn’t remember it. The artist does some really beautiful work!